Summertime and the 'living is easy, fish are jumping...'. Ninety odd degrees 'in the shade'. Trying to remember the cold and wintry weather we had in New England to cool myself off. My little 'grand niece' said to her grandfather yesterday at their cook out, 'I think I like winter better.' as she jumped in the pool in her adorable little swim suit. Hope you are all enjoying the holiday weekend in the USA and elsewhere. Happy Day to you all. The firework photo is perfect! 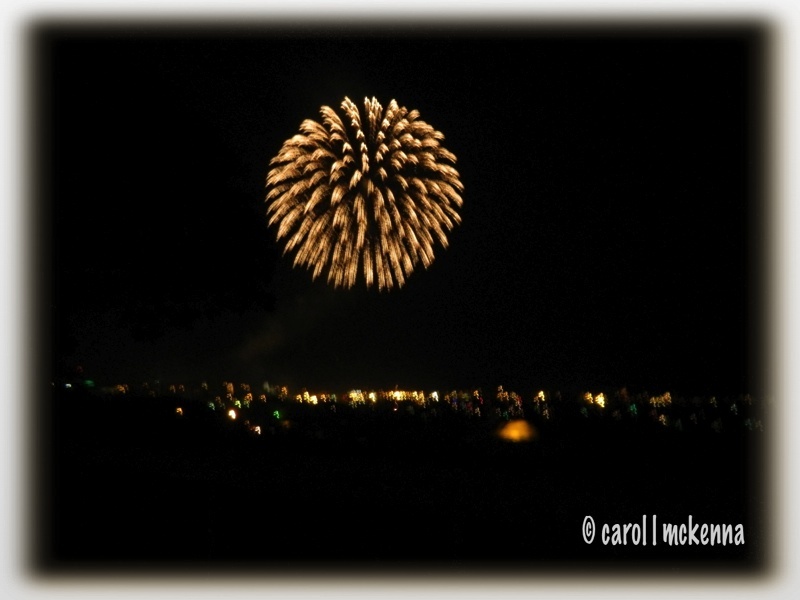 I love its silhouette against the night sky...hope you had a happy fourth! Beautiful photos! Hope you had a wonderful celebration. Happy sky watching. Great photos and lovely 'Ku, as always. Lovely juxtaposition of words and imagery, as always.. Stunning shot of the fireworks! 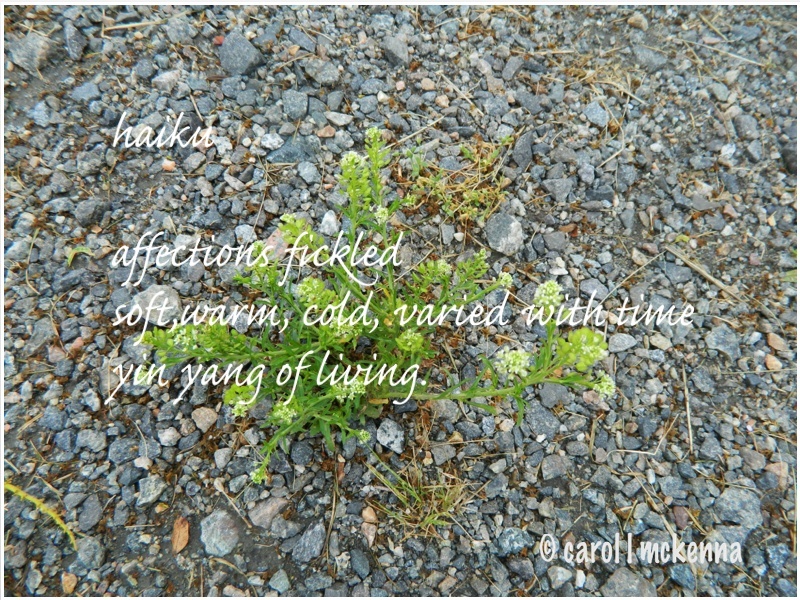 Lovely photos and your haiku great as always! Hope your fourth was fun! The pictures and writing are great! I love the photo of your world in the macrocosm! stunning fireworks image! 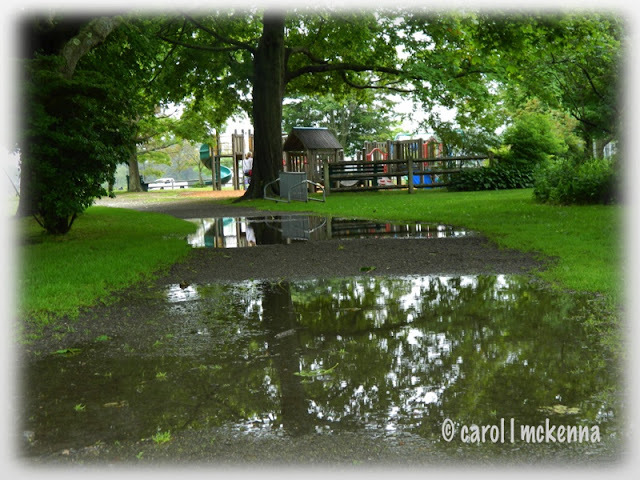 love your reflection photo! poignant haiku. You sure do take some awesome photos. And...write awesome haiku words. Tell Art Muse dog I have "treats" at my house...a whole jar full. Glad the blues were just in passing! Your haiku is so full of feelings. Lovely haikus and wonderful shots. What a great collection of photos. I love them all and the reflection in a puddle is my favorite. Imagination makes a picture comes alive. Carol your blog thoughts just relax me. Wonderful shot of the rainy pool - looks familiar. Hey I just clicked blog home and there's a comment from you. Are you a mind reader too? Each photo is beautiful in its own right, but together they are poetry. Every photo speaks for its topic perfectly. Beautiful sky, love the fireworks capture! And the duck is perfect for you critter shot! And I always enjoy your poems. Lovely post, have a happy day! Hark edges and soft. Life is like that. Love your haikus- I would also love to see a bit of that watery world here...it's dried out completely and my pond is starting to evaporate again. What a wonderful post Carol, and your first haiku is really a gem. Thank you for sharing. 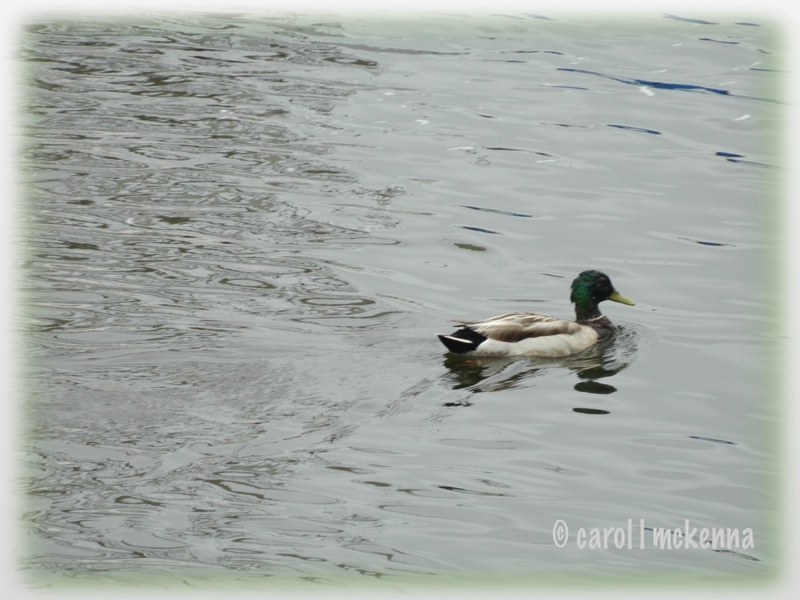 today i am especially grateful to rest in your reflective waters. here in Prescott, Az. this has been a devastating week to navigate. on friday after posting haiku my heart we went to the courthouse for the annual kiddie parade. nothing prepared us for the amazing honoring these children all came together to offer to our town. 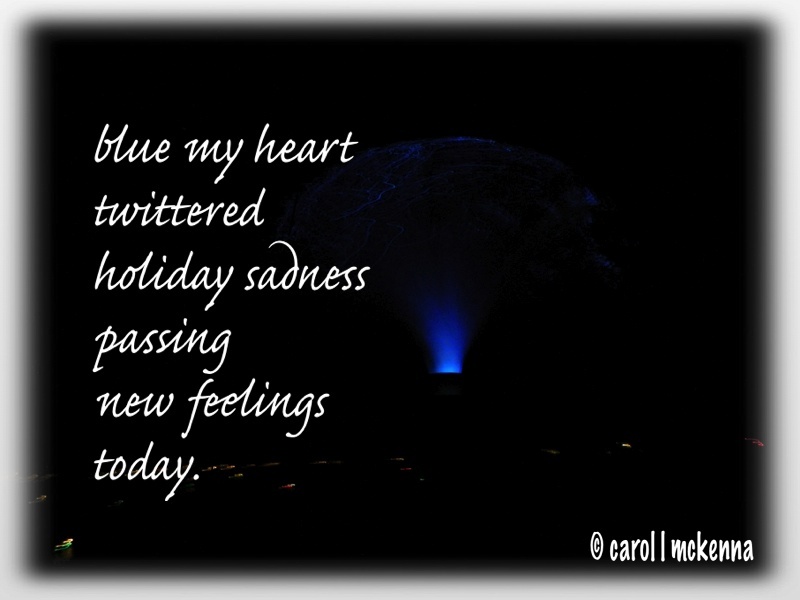 i redid my haiku page with photographs of the youngest of prescott offering their hearts as only children can. sunday standing outside on the road into prescott as each young man returned home was overwhelming in the enormity of loss striking so many families. it is heart warming to see our community come together in a force of love for all those torn apart by the enormity of loss. the courage and strength of the wives is humbling to say the least.